Welcome to your private 1 acre Mountain Retreat in Elk Creek Highlands. The main floor of this sun drenched home offers an open floor plan with wood burning stove and updated kitchen with Rustic Knotty cabinetry, newer appliances and handsome granite countertops. There is a full bath for your guests, as well as the Main Floor Master Suite providing a walk-in closet, corner jetted tub and shower and the convenience of the adjacent laundry room. The steps going to the lower level are equipped with a motorized handicap chair lift. The walkout large recreation room with freestanding gas fireplace is perfect for relaxing on Game day. Also a coveted storage room with built-in shelving, 2 generous sized bedrooms, and a full bath. 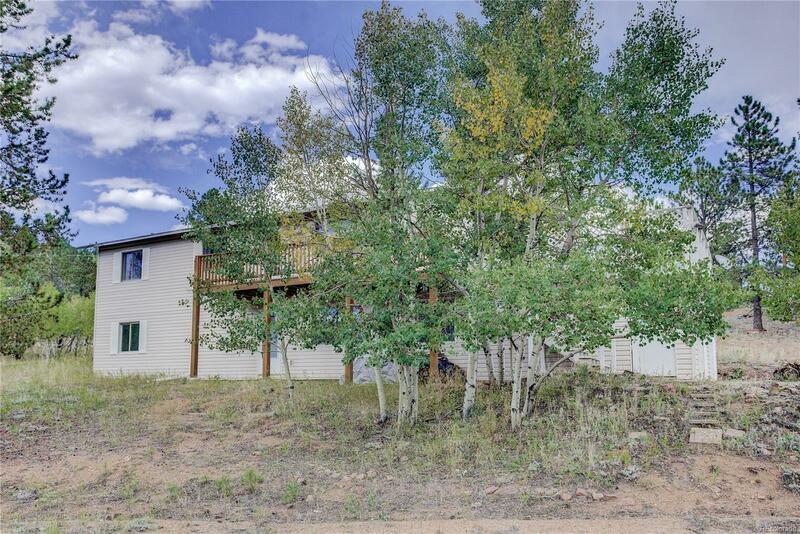 You will love the beautiful Mountain Vistas while entertaining on your huge rooftop deck. The paved drive provides ample parking, plus additional room to park your RV, and 2 car attached garage to store your Mountain toys. You will love coming home!